This is an example of a three-bedroom townhome with attached garage that is part of Harrison Quarry, a new development at 147 Harrison Ave. Extension in South Glens Falls. Real estate developer Rich Schermerhorn Jr. is nearing completion of his latest residential community located at 147 Harrison Ave. Extension in Moreau. 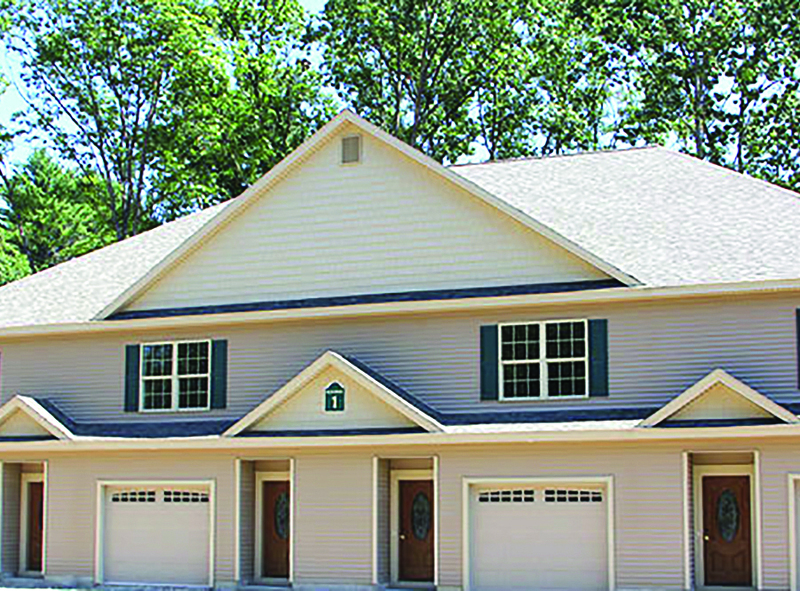 Schermerhorn, who has been building apartments in Warren, Washington and Saratoga counties for nearly 30 years, said that South Glens Falls and the town of Moreau have seen the fastest pace of growth for single and multi-family homes in the region. “I’m getting a lot of locals moving here and I’m also getting lots of people from south of Moreau, Wilton and Saratoga. South Glens Falls and Moreau are attractive to people and offer lots of advantages,” said Schermerhorn. The pricing is one of those features that has been drawing people from Saratoga and Wilton to go the extra few miles to live, he said. A cost of $1,450 per month in nearby Saratoga Springs is a typical rental price for a new one-bedroom unit. In Malta, rents for a three-bedroom unit are in the $2,000-plus per-month range. Another reason why more people are choosing to live in South Glens Falls and Moreau, according to Schermerhorn, is “quality of life.” The homes are minutes from West Mountain, Queensbury, downtown Glens Falls and downtown Saratoga Springs. As the “gateway to the Adirondacks,” Warren and Washington counties are experiencing increased tourism, which in turn stimulates new business growth and more employment opportunities. Schermerhorn said his ability to offer affordable housing is due in part to his buying large amounts of land in the region at reasonable prices. It allows him to pass along some of those savings to renters. He said he plans to do that with another property located just down the street from Harrison Quarry. He has gotten approval to construct Harrison Village, located at 82-92 Harrison Ave. Some 240 smaller townhomes will be built on that 35-acre parcel of land. He said “workforce housing” will be the focus. He estimated it will take approximately three years to complete the construction. Schermerhorn purchased the parcel for $1.3 million in December of 2016. “These will be mostly two-bedroom units and they will be very affordable,” said Schermerhorn. He noted there will not be as many “bells and whistles” as Harrison Quarry, but will be the same traditional townhome-style layouts, with the bedrooms above the living space. “There is such a need for really affordable housing. So many millennials, as well as middle-aged and older people, are struggling. We need this housing,” he said. Schermerhorn plans to offer the new townhomes, which will be approximately 900 square feet, for between $850 and $875 per month.